Welcome to AUT International House! 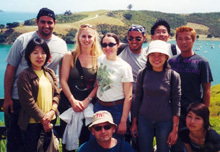 Everyone at AUT International House is dedicated to making your stay in New Zealand both productive and enjoyable. This is a great opportunity for you to improve your English, make new friends and experience the beauty of Auckland and the friendliness of New Zealanders. We look forward to welcoming you and to helping you make the most of your time here. AUT International House is one of New Zealand's leading English language teaching organisations. It is part of the Auckland University of Technology, which was originally founded as a Technical School in 1895 and became a university in January 2000. It offers certificates, diplomas, degrees and post-graduate programmes and has over 25,000 students enrolling each year in the Faculties of Arts, Business, Health Studies, Mãori Development, and Science and Engineering. AUT International House is the only New Zealand member of the International House World Organisation. International House was established with the aim of improving the standard of English language teaching worldwide. Over 120 affiliated schools and teacher training branches in 50 countries make up the IH World Organisation. Over 60,000 students follow language courses in IH schools each year. 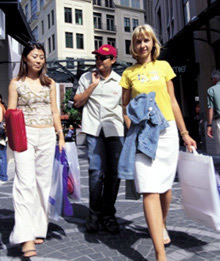 AUT International House is located in the heart of Auckland and next to the main Auckland University of Technology campus. The school building is modern, light, spacious, and has all the latest technological equipment. It also has views over the city, and Albert Park nearby. There are nine classrooms, two Independent Learning Centre rooms and one computer laboratory where Internet facilities are available. 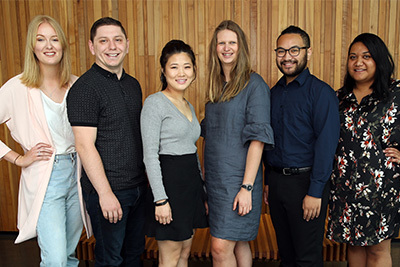 Students enrolled at AUT International House receive an Auckland University of Technology student identity card. This card entitles you to use the University's libraries, the learning centre and sports facilities and gives you discounts in a number of shops, cinemas and theatres.